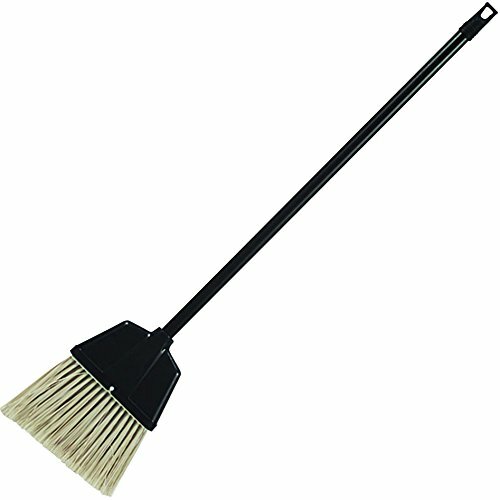 Lobby broom sweeps up dust and debris easily with its angled plastic, frayed bristle construction. Bristles will not absorb water when clearing spills. Use with Genuine Joe Plastic Dust Pan to collect floor debris or as a replacement for the broom in the Genuine Joe Plastic Lobby Dust Pan Combo Kit. Plastic broom handle includes a hang-up hole for convenient storage. O'Cedar Fast 'N Easy Angle Broom 10 "